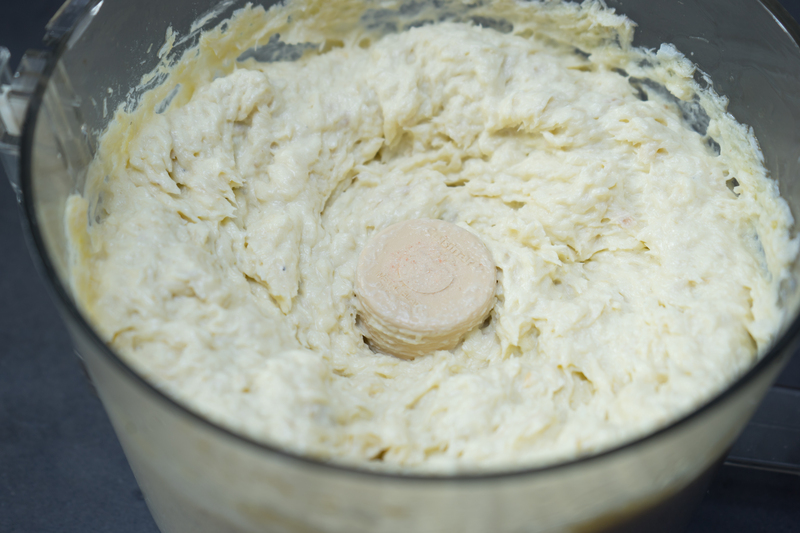 Furthermore the texture has not been that easy to replicate until I began to understand that in many ways that making baccalà mantecato is like making a sauce, a mayonnaise to be exact, except without the egg. It apparently used to be made in a butter churn (zangola) which makes a lot of sense. I know if you make it, you will enjoy it. 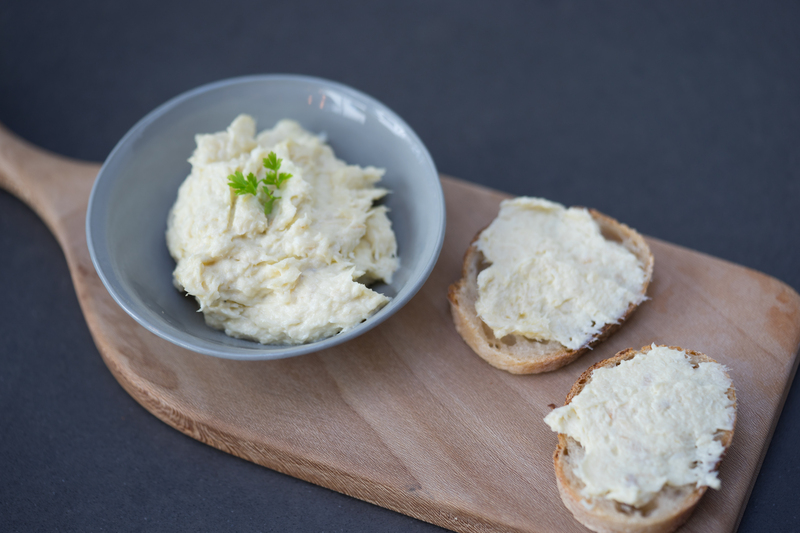 It is perfect on toasted bread or grilled polenta. 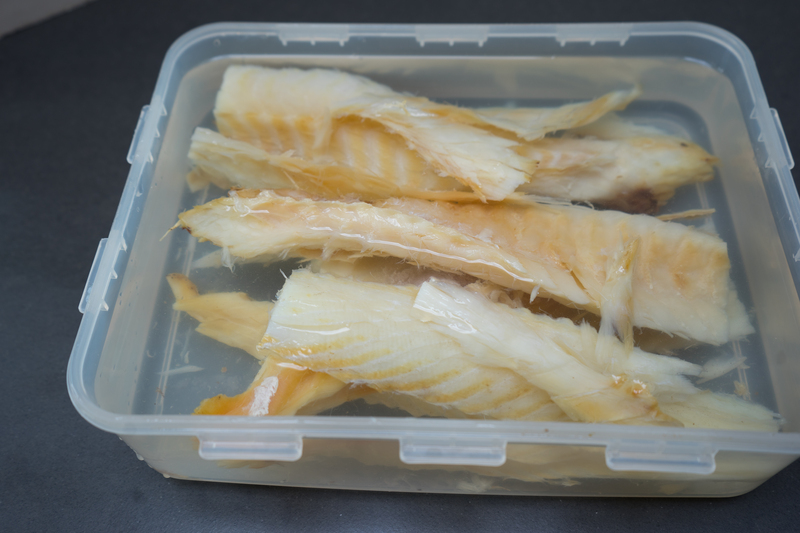 Do not be put off by the long preparation time, it is essentially soaking the fish and changing the water which takes a few seconds at a time. Also, if you like, you can add a garlic clove and half a lemon to the poaching water. Enjoy! 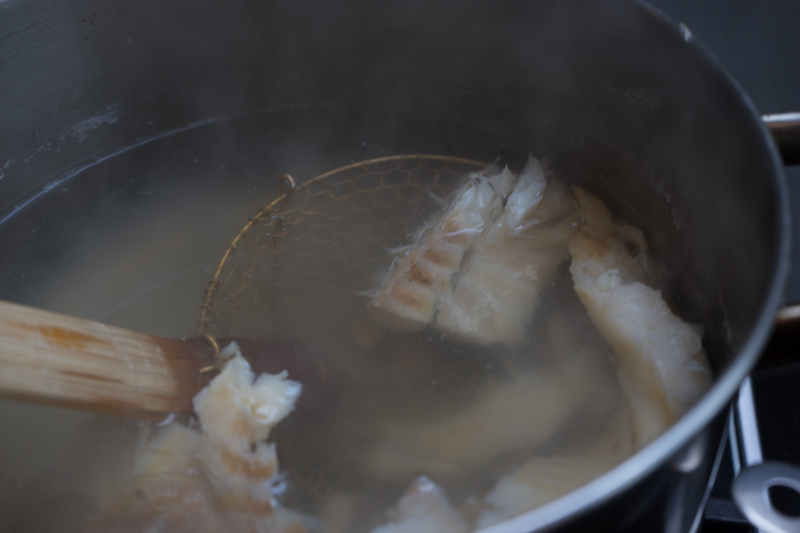 Soak the stockfish in enough water to cover for 3 days, changing the water as frequently as every 2 hours or as much as possible, keeping it in the fridge. I often only remember twice a day and it is fine. 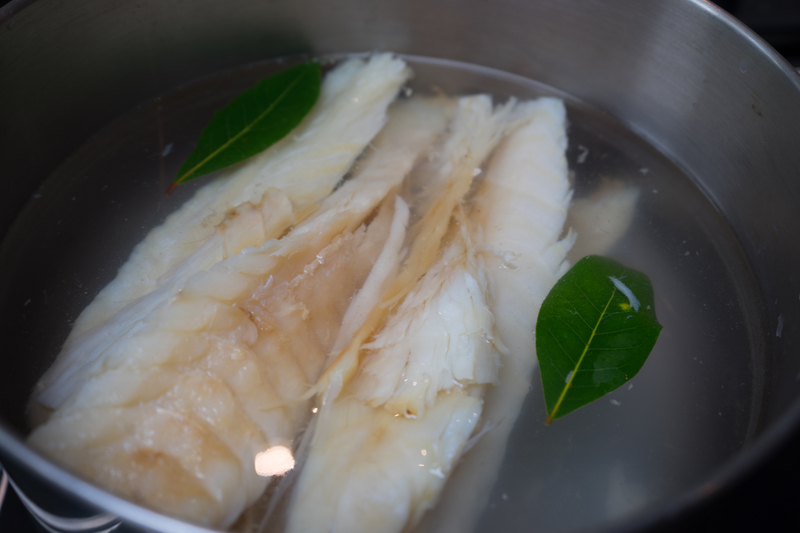 Drain the water, remove the skin from the fish and put into a pot with 10 grams of salt for every litre of water and enough water to cover the fish. Add the bay leaves (and garlic and lemon if using). 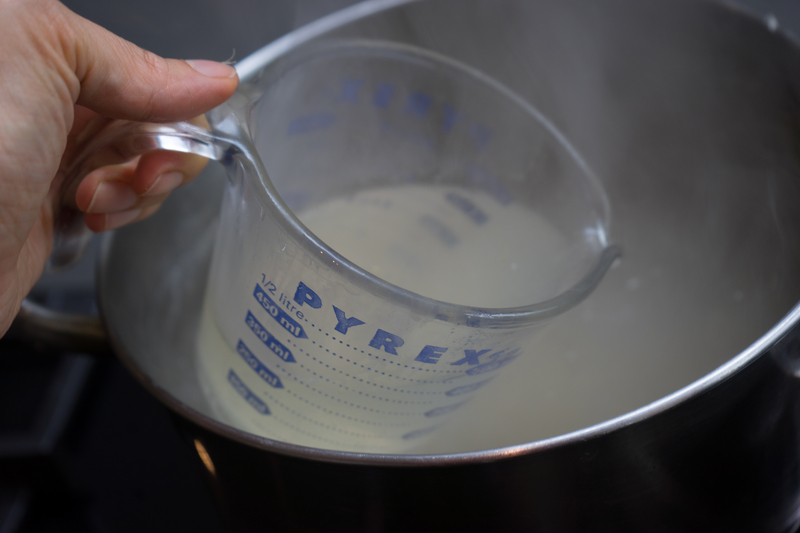 Bring the water to a boil and cook for 10 minutes. Reserve 1 cup of the cooking water. 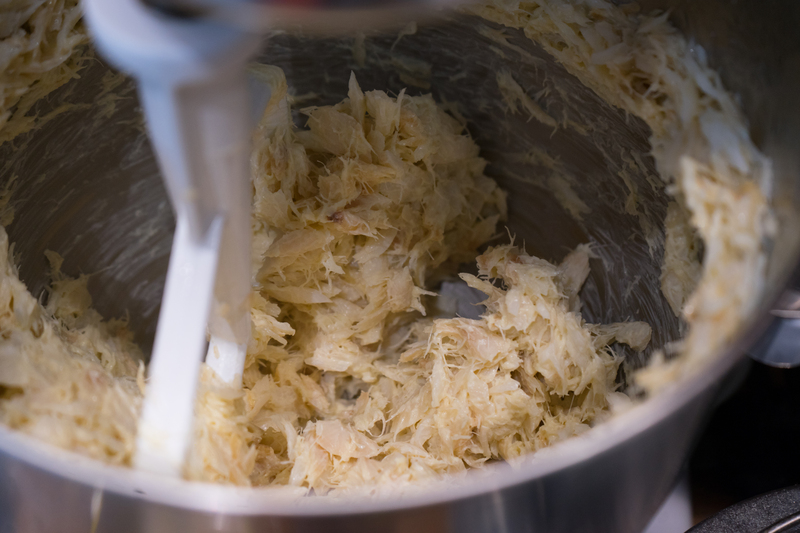 Use a slotted spoon to remove the fish and remove the bones carefully before adding to the bowl of a standing mixer. 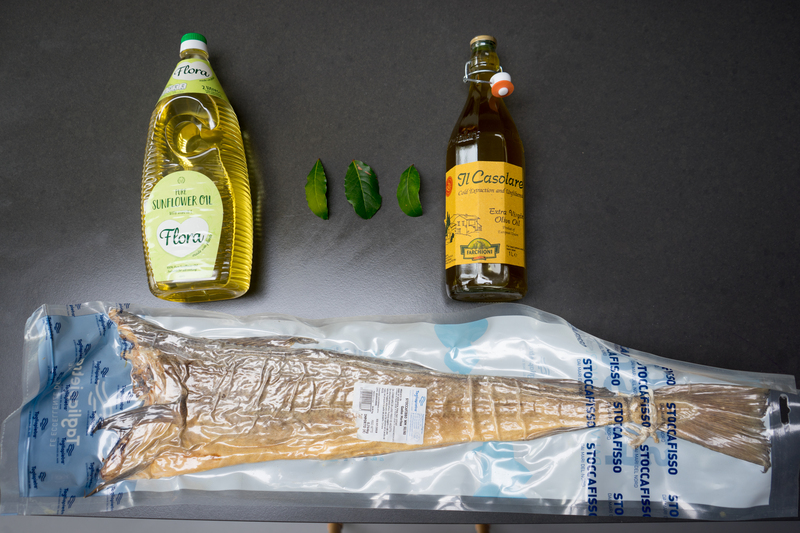 Heat the sunflower and olive oils together to 60C. 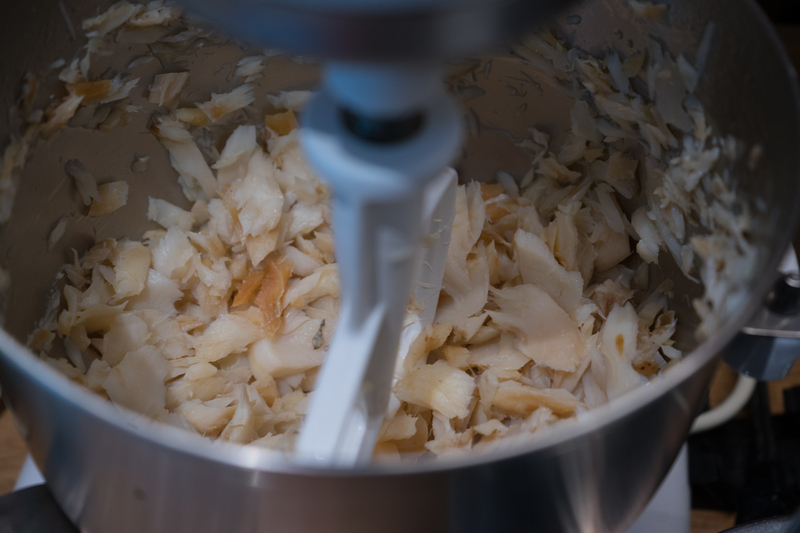 Add the paddle to the standing mixer and begin to mix the fish on low speed. 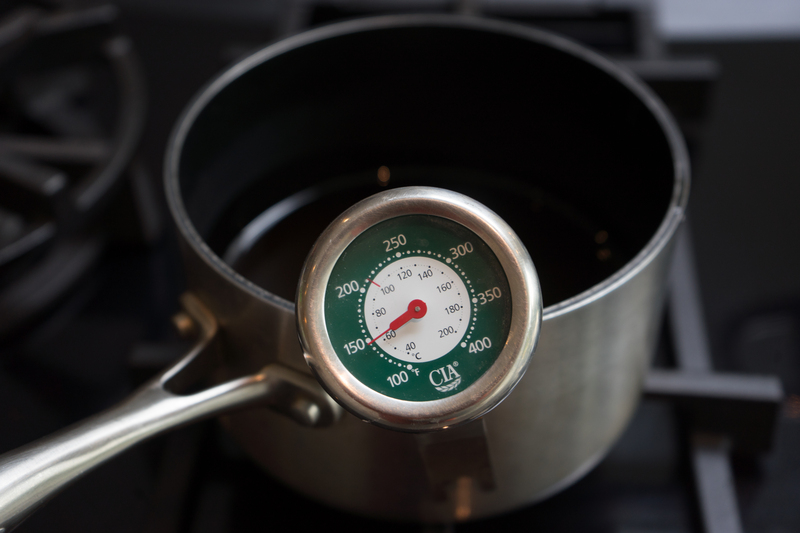 Begin adding the oils, a little at a time, ensuring that the previous amount was absorbed before adding more. 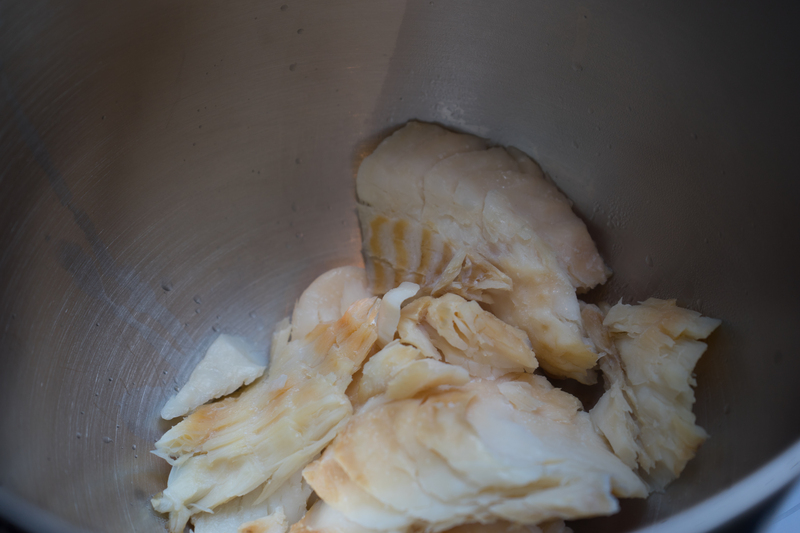 Continue like this for 20 minutes until all the oil has been added and the fish is firmly mashed. 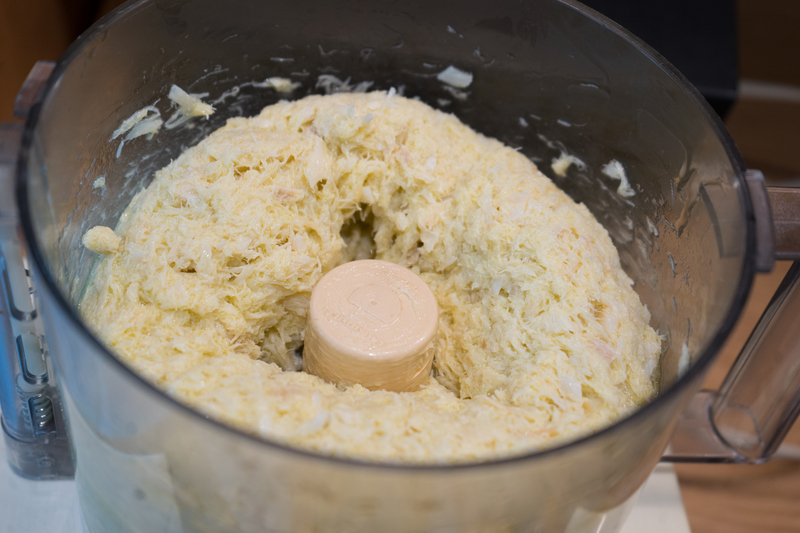 Remove the fish and add to a food processor with the normal blade attachment. Taste and begin adding the reserved cooking water as needed (about 75 to 100 mls). Puree the mixture until there are no chunks and it has emulsified. Add salt to taste and puree until well dispersed.